Yes you can learn how to perform magic for you family and friends. You can be the hit of the party. We teach slight of hand with playing cards, coins, rubber bands and more. We teach a routine not just a "move." If you are old enough to shuffle playing cards I can teach you anything in magic you want to know. The lessons are private one of one. We meet at Top Hat Magic at a time that works best for both of us. Each lesson is one hour. Have a magic act that needs help? We can help you because We have over 30 years of close-up and stage performances. Do you need help with slight of hand you already do but having problems? We can help. Your a public speaker, youth minister, grandpa or children's medical person, We can help. Call Brian Bailey at 918-663-5550 for an appointment or questions. Brian Bailey is the owner of Bailey’s Top Hat Magic and Fun Shop in Tulsa Oklahoma. 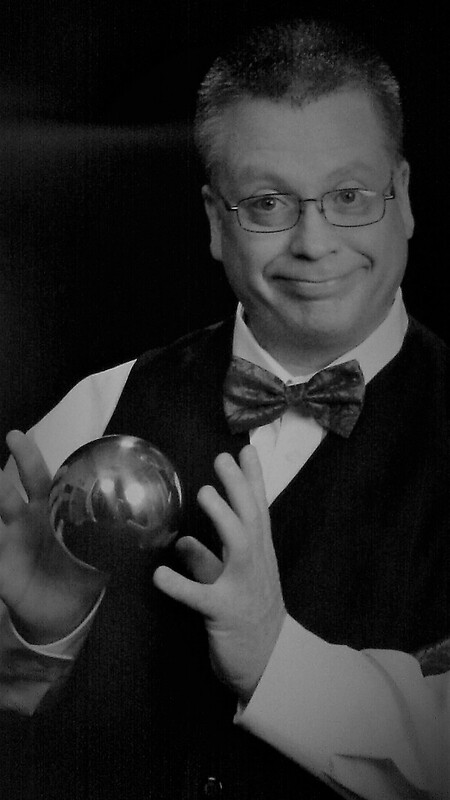 Brian has performed professional magic shows for 30+ years. He has entertained for corporate events such as American Airlines, Tulsa Zoo etc., Birthday parties, special gatherings, and school functions. Let Brian entertain your next function or event. Steve Lancaster has been performing Magic for the last 30 years. Noted as one of the top Magicians in the Southwest, he has performed coast to coast for Conventions, Sales Meetings, Banquets, Malls and Television. Steve is a member of the International Brotherhood of Magicians and the Fellowship of Christian Magicians. Steve was honored in 1995 by receiving a Bachelors Degree from the " Fechter's Finger Flicking Frolic." This is by invitation only to the top 125 Sleight of Hands Magicians in the world. Steve has helped many beginners, such as Muhammad Ali and professional magicians as an instructor of Sleight of Hand. You may have seen Steve in many TV shows and commercials. Steve was the "KTUL Kid Times Magician", and a regular every week for over a year and a half on KOTV "You're On With Sam Jones “Featuring the mystic skills of a Master Magician Steve has entertained thousands with his one man stand up act, a show of not just, "how did he do that", but also a dash of comedy that ensures a fun filled event. You might have witnessed Steve perform such classic effects as the famous Vanishing Cane, Coin Magic and Playing Card that appear out of thin air, plus many new and funny routines. If it's Grand Illusions you want see Steve float a woman in mid-air, his famous Sword Basket, Dancing Cane, Cube Zag, Houdini's Metamorphosis, his mystifying Floating Table and many more fun and amazing effects. 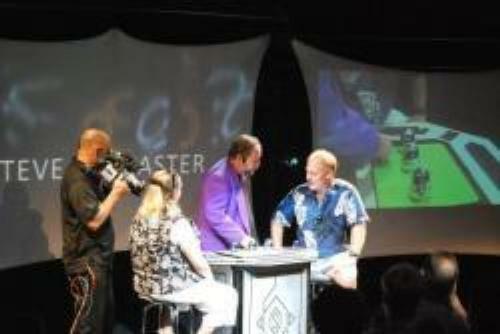 Now his new show with the help of Multi-Media hundreds can watch Steve present "The Art of Close-up Magic"
Steve is a native Tulsan who opened Top Hat Magic & Costume in 1977 in Tulsa Oklahoma. Steve is also a Special Effects Consultant for theater and film. He is inventor and manufacturer of magic props and is a member of the International Brotherhood of Magicians. Just a few of Steve's clients: American Airlines, Associated Insurance of Florida, Pfizer, State Farm Insurance, Xeta Integrated, Volvo, Burger King, Coors, Carnation Milk, Cadillac, Big Four Petroleum, Ford Motor Co., K-Mart, Sinclair Oil Co., Tulsa State Fair, Marriott Corp. Saches (Dallas) Chamber of Commerce, McAlester Medical Regional Hospital, Recreation Vehicle Association, Tulsa Hospital Council, Southern Hills Country Club, Tulsa Promenade Mall, Norman Regional Hospital, Oklahoma Credit Union League, Oklahoma Press Association, Oklahoma Beverage Co. and the Tulsa World Publishing and the Hard Rock Casino, National Corvette Convention Tulsa. Roger Kornell is one of Tulsa’s premier comedy magicians. Having performed for 37 years, Roger knows how to entertain whether for a child’s birthday party or a corporate event. Roger has won awards from the International Brotherhood of Magicians for both close-up and stage performances. He is a member of Fellowship of Christian Magicians and a regular performer at Spot-Lite Theatre in Tulsa Oklahoma. Let the magic of Roger Kornell make your next event full of laughter and amazement.